Although I am absolute innocent of training or knowledge in the exact sciences, I often seem to have more in common with mathematicians then with my fellow artists. At the website Mac Tutor History of Mathematics of St. Andrews University, today’s most accurate and complete source of mathematical biographies, one can find Escher among such names as Archimedes, Fermat, Eüler and Gauss. Is it merely an extravagant nod towards an artist who, while not a mathematician himself, honored the Science of Mathematics like no other? True enough, Escher was not a Mathematician in the usual sense: he did not study Mathematics, did not teach it, did not publish any research or educational essay on it, whatsoever. However, numerous mathematical textbooks contain his work, not merely as a decorative, but also as an instructive means. Also numerous are those who argue that his work has contributed actively, albeit in a non-conventional manner, to the progress of Mathematics. At high school in Arnhem, I was extremely poor at arithmetic and algebra because I had, and still have, great difficulty with the abstractions of numbers and letters. When, later, in stereometry, an appeal was made to my imagination, it went a bit better, but in school I never excelled in that subject. But our path through life can take strange turns. We can be fairly sure that, while spending whole days studying the Arabian decorative motifs, at the Alhambra Palace in Spain (during two journeys in 1922 and 1936), he never suspected he was conducting primary mathematical research. The regular paving motifs, i.e. the ways in which a flat surface could be covered by a periodical repetition of the same shape, without breaks or overlaps, was one of the outlets for Moorish artists, whose creativity was stifled under the Q’ran’s prohibition of any and all human or animal representations. Escher described this paving technique, what we call today the “regular division of a plane” as “the richest source of inspiration” he ever had. In fact, not having any religious restrictions, he himself had no difficulty at all in applying the basic plane transformations (parallel transposition, revolution, reflection, rolling reflection) in images of people, horses, fish and birds. That is to say, the very man who claimed not to understand mathematical abstraction, managed to tell structure apart from content and reproduce the first, while altering the second. In mathematical quarters, the regular division of the plane has been considered theoretically. … [Mathematicians] have opened the gate leading to an extensive domain, but they have not entered this domain themselves. By their very nature they are more interested in the way in which the gate is opened than in the garden lying behind it. Despite their different goals, it seems that Mathematicians and artists have one thing in common: the tendency to generalize. There were two possible paths towards generalization: first, one could research the regular division of three-dimensional space and second, one could turn to the non-regular division of a plane, that is to say, using paving methods that subject the “tiles” to transformations other than symmetries, which alter the “tiles” themselves, such as enlargement or reduction. His second mathematical encounter, with English-Canadian geometer, Donald Coxeter, also played an important role in moving him towards this new direction. They met in 1954, at the International Congress of Mathematicians in Amsterdam, and remained close friends until Escher’s death, in 1972. Through his discussions with Coxeter, Escher came in contact with hyperbolic geometry and the way one can use it to create a picture of infinity. It is very likely that Coxeter “engineered” the amazing meeting (in the way of ideas) between Escher and the great French Mathematician, Henri Poincaré . Let us think of a world enclosed inside a sphere and subject to the following natural laws: the temperature is greatest at the center and decreases uniformly, as we move away from it, to reach the absolute zero at the sphere’s surface […] All bodies in this world have the same expansion coefficient, such that a rod’s length is proportional to its temperature. Finally, let us suppose that an object, moving from one point of this world to another, of a different temperature, automatically adapts to the new thermal environment of its new position. […] Thus, an object moving towards the outer surface keeps shrinking. If this world is finite, from our own geometric point of view, it will seem infinite to its inhabitants. Indeed, as they approach the outer surface of the sphere, they keep getting colder and smaller. Hence, their steps also become constantly smaller and they can never reach the outer sphere. Of course, it is perfectly possible that Escher was informed of Poincaré’s ideas by his other Mathematician friends. However, the artistic depiction of the hyperbolic geometry model is purely his own work, a work in fact that was proven, in 1995, by Coxeter himself to be, from a mathematical angle “…absolutely correct in every inch… It is a pity that he did not live long enough to witness his mathematical justification”. For Escher, another important mathematical encounter was the one with British Mathematician, Roger Penrose. Together they conceived the idea of the twisted triangle – the tribar – the basis for Escher’s impossible buildings. Three points in space always define a single plane and thus, contrary to the skew tetrahedron (the tetrahedron whose 4 peaks are not on the same plane), the skew triangle is impossible. However, when we depict three-dimensional space on a plane, violating the rules of perspective can create the illusion of a skew triangle and through it, the image of a self-sustained waterfall, a circular, perpetually upward or downward trajectory, or a tower that, when climbed “from the inside”, leads you “to the outside”. Escher’s last mathematical encounter is also limited to the world of ideas. We cannot know whether Escher ever met Russel or Gödel. We do know, however, that all three dabbled in self-reference. Russel used it to show the contradiction inherent in the idea of “the set of all sets that do not contain themselves”, Gödel used it to prove that a theory cannot guarantee, in and of itself that it is non-contradictory and Escher created two beautiful hands that draw one another with it. If self-reference is a nightmare to Mathematicians, shaking the foundations of their science, Escher uses his carving tools to send them a hopeful message: “When looking at things from the right perspective, all paradoxes are mere illusions”. My novel “Symmetry and the Expatriate” (currently available only in Greek) describes an encounter of a fictional character with Escher, in Siena. 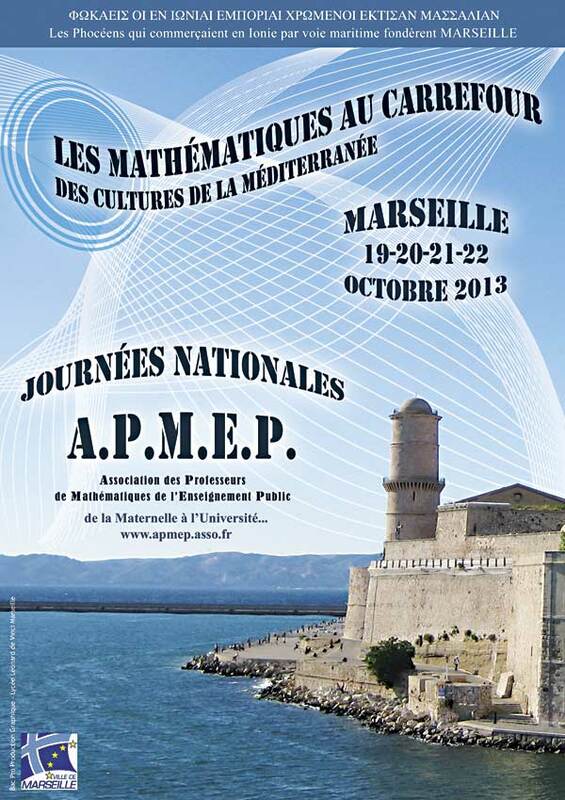 Le Lundi, 21 Octobre, je vais participer au Souk des Maths dans le cadre des Journées Nationales de l’ APMEP (Association des Professeurs de Mathématiques de l’ Enseignement Public) qui auront lieux a Marseilles. 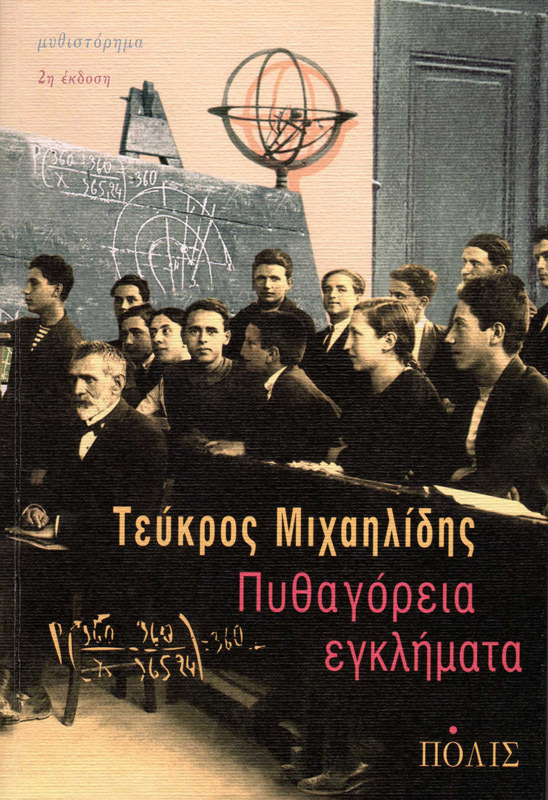 This is a relatively new book (2011) which has only been published in Greek by Polis Publishing. 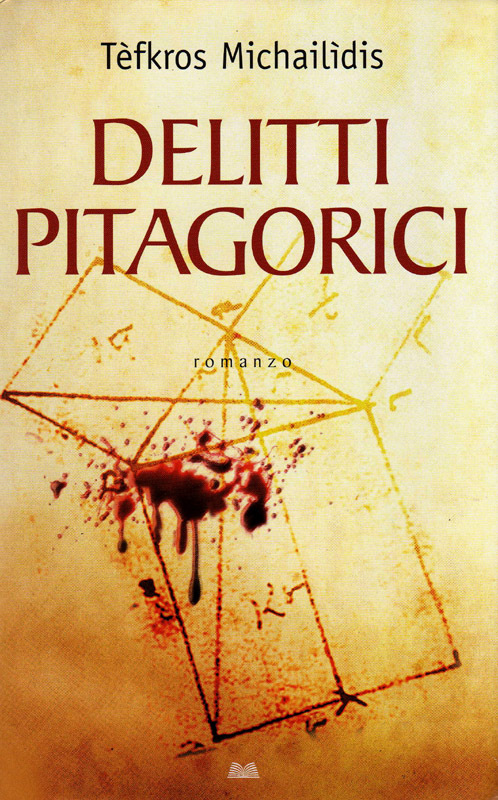 This here title is true to the original, “Τα Τέσσερα Χρώματα του Καλοκαιριού”. This book is about three great love stories, as well as a “fringe” mathematical problem, all set on the backdrop of a tumultuous 20th century. The story feels like a wheel, its spokes piercing Paris, Göttingen, and Athens, with its center set firmly on the island of Serifos, around which the events and the characters revolve. It is Serifos in its many forms, some little known and others known all too well: it’s the island of the first union strikes in 1916, the island condemned to a slow death after the mine closures of 1963, the island we know and love today, despite its being exploited without measure as a tourist destination. A line of women from Serifos (grandmother, mother and daughter), each living their starcrossed love story, in the enigmatic shadow of a mathematical riddle; a riddle that, after frustrtaing some of the most notable mathematical geniuses for nearly a century, was solved in a most controversial way. Its solution shook the edifice of mathematics mightily, demanding that we reconsider what we even call a “solution”. Can we really trust results based on the data from a computer – which data we can never verify by hand in our own lifetimes? Does the term “proof” mean the same in the age of computers, as it did in the time of Euclides? Furthermore, how can such a problem affect the converging lifelines of a man and a woman, whose hearts were seemingly made to beat as one? 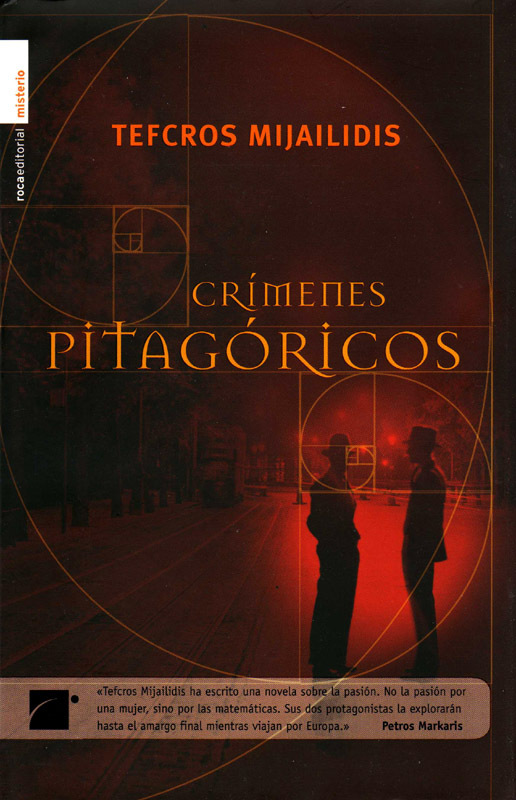 In my last two books (Pythagorean Crimes and Ahmes, the Moonchild, respectively) I attempted to mix mathematics with crime mystery and historical fiction (to what success, it is only for the readers to tell). This time around, it was love’s turn. 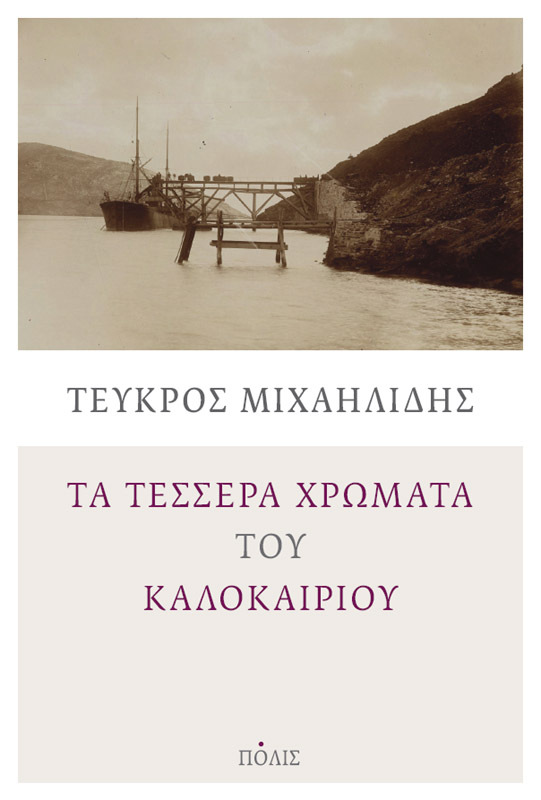 Lighter than usual, but with history always present, is the new novel by Tefcros Michaelides, The four colors of summer which takes us to Serifos during the first social struggles as well as to a curious mathematics puzzle, the “four colors problem”. Breathtaking, in a summer mood underlined by verses of popular songs which illustrate a love story that will remind you of summers of the past. An excellent escape from our morose reality. (Costas Stoforos, Dromos tis aristeras, 19/12/2011). 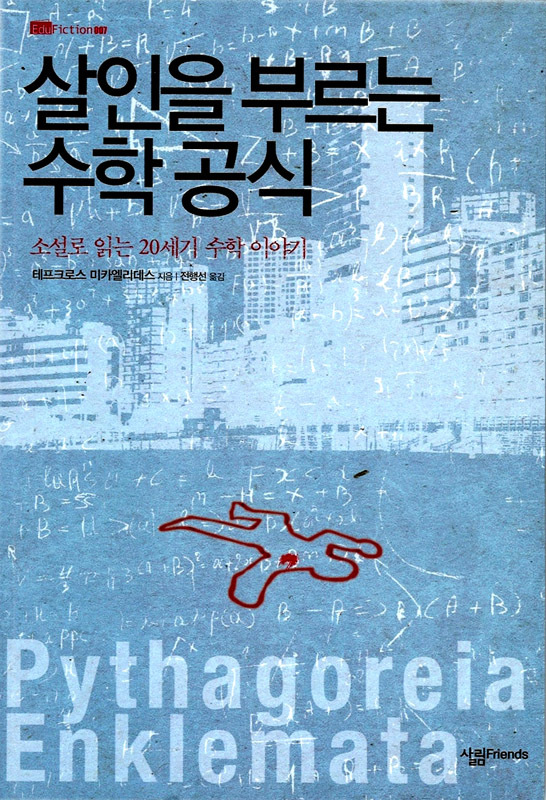 The author, himself a brilliant mathematician, manages perfectly not only to translate in everyday language some of the most difficult mathematical problems but also to use them in order to create charming stories that interest all of us. (Eleftherotipia, Spiros Manouselis, 11/12/2011). 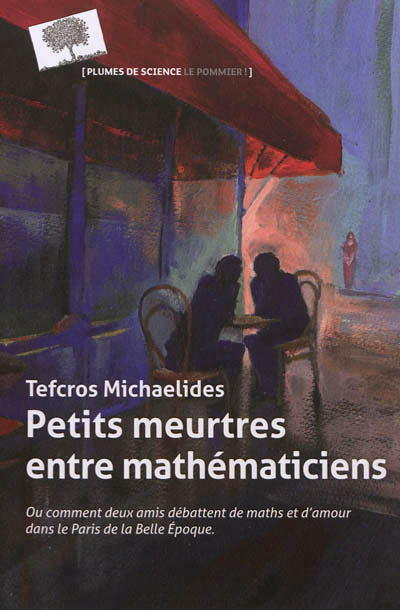 Tefcros Michaelides has given us a strong story of love and mathematics. How strong? Note this: I took it with me on a trip to London. I started to read it during the flight and although the attractions of the British capital and my good company I was eager to return to my room and see what happened to the lovers. I finished it during the small hours. (Ioanna Souffleri, VIMA – SCIENCE, 20/11/2011). 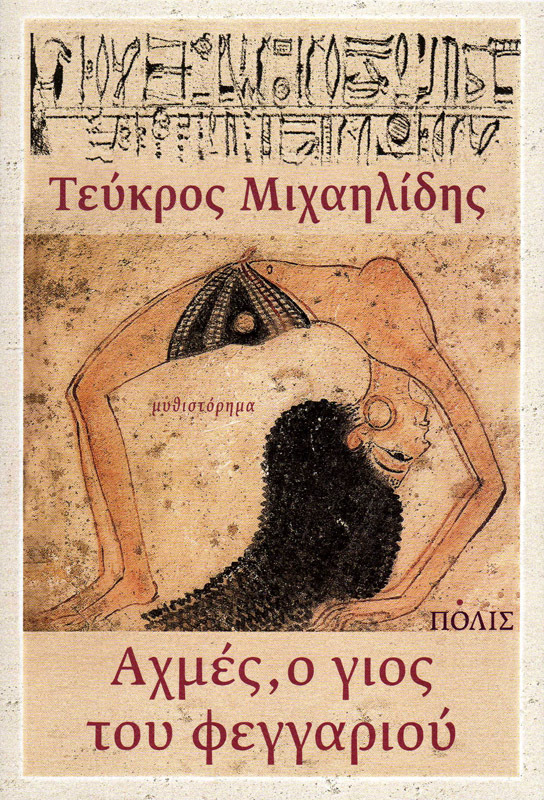 First off, I must stress that this book is still only in Greek and the aforementioned is my own translation of the original title, “Αχμές, ο Γιός του Φεγγαριού”) by Polis Publishing. 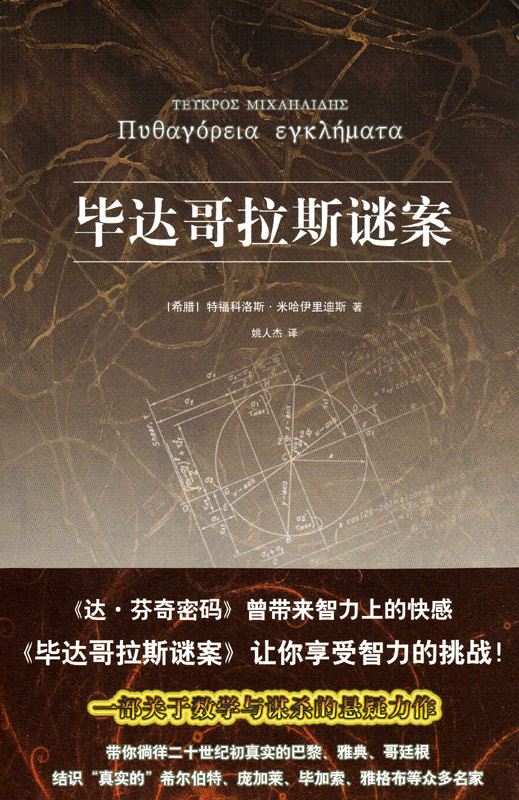 It is a purely fictional account of the life of Ahmes, the first Mathematician in history to be known by name, having signed the famous Rhind Scroll (named after the Scottish archaeologist who found it, Henry Rhind), a collection of 84 solved mathematical problems, sometime around 1600 BC. Besides giving a plausible account of how, why and when Ahmes compiled the scroll containing the sum of mathematical knowledge of his time, the book tells the colorful tale of how he was found by Pianki, one of the Royal Hunters, how he was raised by him and his beautiful wife, Tadinanefer, as well as of his friendship with orphaned Amanthys, a Minoan boy whom the evil whims of merciless pirates, through the merciful winds of fate, landed in Egypt. More than that, it’s the account of his journey through life, towards an accomplishment that will seem monumental more than two-score centuries later, preserved by one pale, sickly man. I would not say more. The book is an adventure on two levels: on one hand, it’s the life adventure of two friends who survived and were brought together by providence and on the other, the adventure of learning, discovery and knowledge. 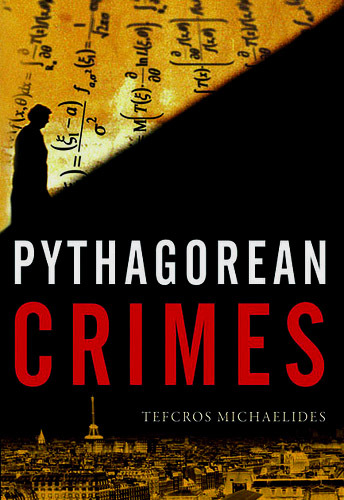 Although the book is in Greek, I hope that it will be successful enough to be translated in English, like Pythagorean Crimes was.